When will be Rip Off Britain: Food next episode air date? Is Rip Off Britain: Food renewed or cancelled? Where to countdown Rip Off Britain: Food air dates? Is Rip Off Britain: Food worth watching? Gloria Hunniford, Angela Rippon and Julia Somerville investigate the truth about our food in a series exposing everything from the secrets of the supermarkets to the truth behind the labels. Angela Rippon, Gloria Hunniford and Julia Somerville investigate more stories to do with food. They look into whether products that claim to be sugar-free or have zero sugar are really as virtuous as people might think. There is an unorthodox test to see if the chocolate bars sold in pound stores are the bargain they appear to be, and the team explores why some viewers are paying twice as much for their butter as they did 18 months ago. Angela Rippon, Gloria Hunniford and Julia Somerville reveal how some restaurants are flouting laws designed to keep people - and the environment - safe, including how some establishments are using fake hygiene ratings to trick customers through the door. And with many restaurants contributing to the problem of giant fatbergs clogging up the country's sewers, how everyone do their bit to stop this growing menace from occurring? Plus should a restaurant advertise itself as having disabled access if there is no accessible loo? A family reveals how, at a well-known chain, the lack of facilities meant they had no choice but to carry their disabled seven-year-old up the stairs to use the toilet. Angela Rippon, Gloria Hunniford and Julia Somerville discover the truth about foods supposed to be healthy and the way that they are sold. With people being encouraged to ditch the plastic, the team explores why it can cost more to buy fruit and vegetables loose than if they are pre-packed. Plus is coconut water really as healthy as is usually claimed? Food blogger and campaigner Jack Monroe has tips on how to avoid waste, and there is news on the latest attempts to get food manufacturers and suppliers to help people eat less. Angela Rippon, Gloria Hunniford and Julia Somerville look into convenience foods and deliveries. After the meteoric growth of online takeaway services, some of the most popular are put to the test. The team also explores the so-called 'dark kitchens' appearing in neighbourhoods across the country, after a group of neighbours says they are paying a high price for such innovations - and for other peoples' convenience. There is also a look at whether a time-saving new idea to put a freshly cooked dinner on the table every night is worth the cost, and the Women's Institute compare various ways of serving up mash potato. 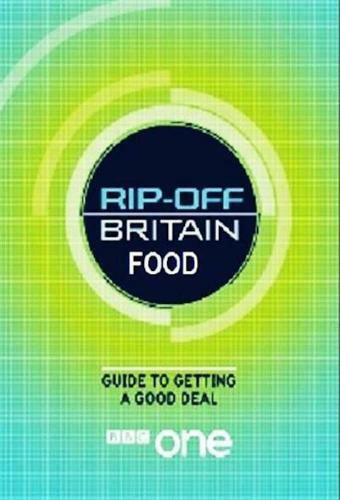 Rip Off Britain: Food next episode air date provides TVMaze for you. EpisoDate.com is your TV show guide to Countdown Rip Off Britain: Food Episode Air Dates and to stay in touch with Rip Off Britain: Food next episode Air Date and your others favorite TV Shows. Add the shows you like to a "Watchlist" and let the site take it from there.